Almost everyone wants to be a superhero. Whether you’re into the radical powers, wicked tech or the simple need to help out your fellow person, there is a lot to get excited about. That excitement was the major reason why I was so psyched to try out Iron Man VR at the PlayStation VR Showcase in New York City last week. Throughout the course of my 25-minute demo, I experienced many wonderful highs, a few frustrating lows, and altogether the closest approximation of being a superhero that I’ve ever experienced in a video game. While waiting to play the game, I was able to watch other people run through the demo, and the thing that stood out to me most was how fast and frenetic the flying was. This worried me, as nausea is something that many VR games struggle with combating. 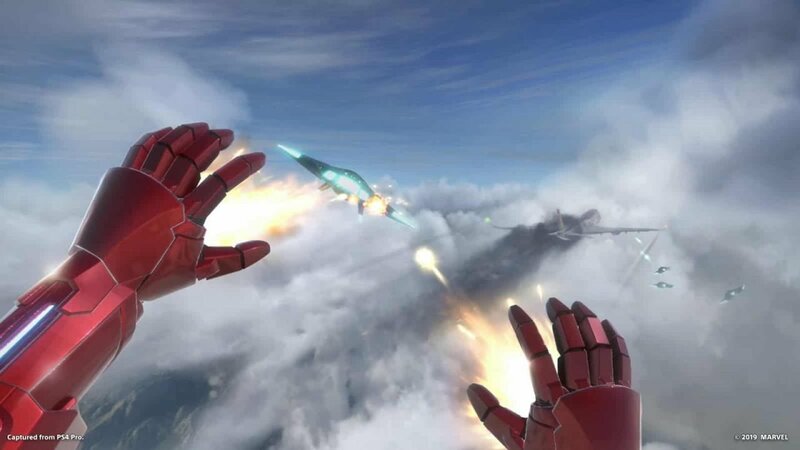 Since Iron Man VR is a flying game, any sort of nausea would be a real deal breaker. Thankfully, my worries were for nought. Unlike many VR games that have you standing still, Iron Man VR encourages you to turn your body in order to fight enemies and fly through objectives. By having your body move every few seconds, you get rid of the mind to body de-sync that makes some VR games hard to play. Not only that, but the physical movement adds to the immersive-ness and helps make you truly feel like you are Iron Man. The only issue with the movement is that the PSVR has a cord attached, and I found myself getting caught on it a couple of times while I was playing the demo. Throughout the course of my demo, I played through two main locales: A seaside area located beside Stark Industries, and a battle-zone located high in the sky. The first area served as a tutorial where I learned the basics of flying, shooting, and being Iron Man. The game requires PlayStation Move controllers and you fly by tilting them in different directions. Aiming the controller down makes you hover, tilting it back makes you go forward, and bringing it forward makes you backwards. That may sound confusing but in actuality, the movement works exactly like Iron Man’s repulsors do in the movies and comics. It did take a bit to get used to though, and the repulsors were not quite as easy and precise to fly as I expected. The speed of the suit feels a little too fast, and on the flip side, the turning is a bit too wide. 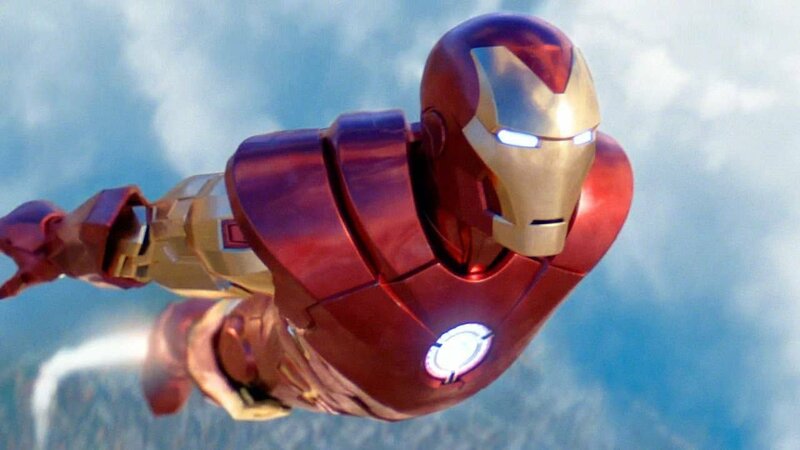 The shooting also makes use of Iron Man’s Repulsor blasts, although they’re put on a different setting compared to flight.Thankfully, the blasts feel intuitive and manage to capture the trajectory that you would expect when shooting. The developers have said that there will be more weapons to use as you progress further in the game, including a wrist rocket for dealing with larger villains. The controls did feel better in the sky portion, where I had to dodge fire from enemy drones while keeping a plane safe. I actually ended up dying once during this part and quickly learned that you can’t simply run and gun in Iron Man VR. Instead, I found myself having to shoot with one hand while trying to steer and propel myself with the other. There is a bit of a sensory overload that comes with the controller combination, and I do worry that this game isn’t going to be accessible for those who aren’t used to playing high-intensity shooters. That being said, once I was able to get the flying and shooting combinations down, the feeling was fantastic and as close to being a real-life superhero as any game has given me. Kudos to Iron Man VR because it’s the first superhero game that actually feels like you’re untethered. It has a few mechanical issues that will hopefully be sorted out before release, and it’s certainly off to a promising start. 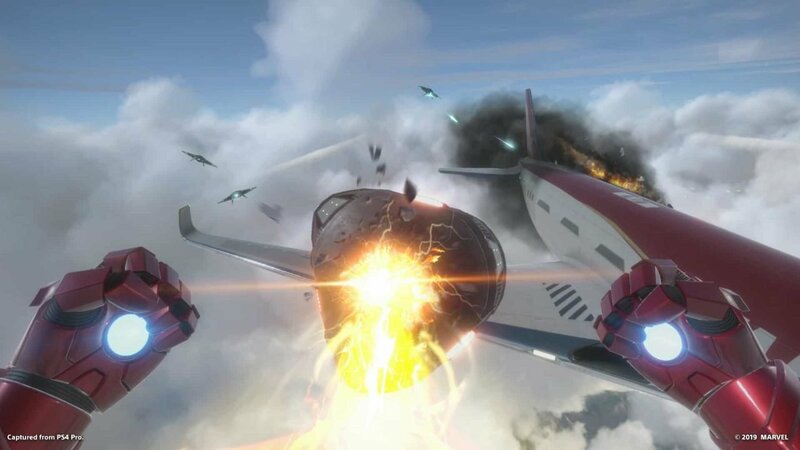 Iron Man VR is set to release in 2019, and we’ll have more on the game going forward.